Exploration no. 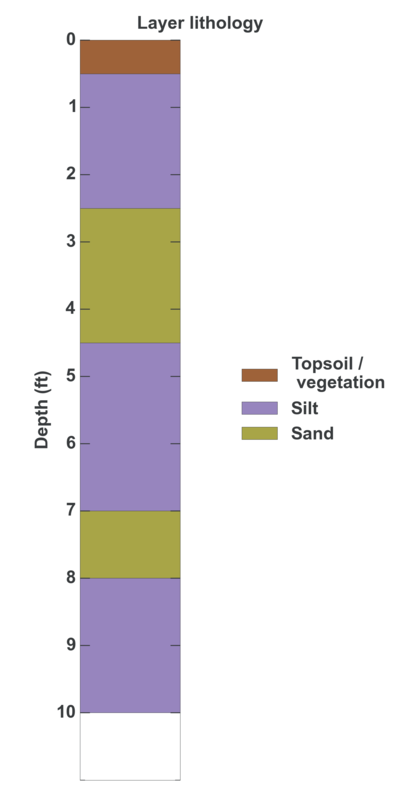 60778 is a Test pit (depth 10 feet) named: TP-5 described in subsurface document no. 11042. The document, a report titled Proposed Canyon Park Auto-Stop was prepared by Earth Consultants, Inc. on 09-14-1988 for a Retail / commercial building project.